Looking for Memphis inspo? We went directly to an 80s style expert, Tiffani Thiessen, to talk Saved By The Bell, The Max Diner, and the revival of 80s style. Zack Morris and Kelly Kapowski were the defining couple of late 80s television. CL: As you know, late 80s nostalgia is having a huge style moment. It's bleeding into the early 90s too. You are the IT girl all over again. 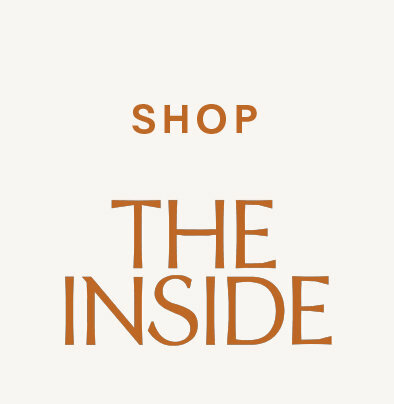 Let's talk about the Max Diner and its effect on your personal style development. TT: I spent a lot of time on that set. At the time, I was not thinking about design and interiors the way I do now. I can tell you it was very bright—from the lighting to the colors. There were absolutely no curved lines at all. The whole set was linear, which is consistent with the 80s aesthetic. Okay to look at on a television set but less relaxing in person. TT: The other big 80s trend was the frosted glass and glass block. It was all over the set. 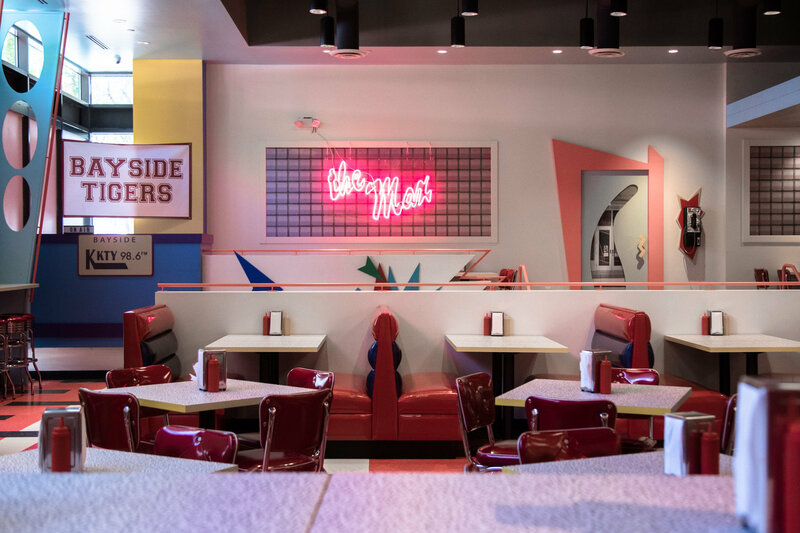 Those elements, paired with the liberal use of formica, gave it a Memphis-meets-old-school-diner vibe. It was modern and nostalgic at the same time. I guess in keeping with Memphis, the terrazzo formica pattern was spot on. Memphis, as you know, was so informed by MTV. I think all set design in the late 80s was an extension of that. CL: How did the set influence your long-term design sensibility? TT: I was WAY too young to really think about design. I was much too preoccupied with my wardrobe, hair, and makeup to contemplate the long-term effect of being on that set. But looking back, I think it helped me embrace color. There was a lot, and I have never been scared of it. My decorating style is much more traditional and I really go for comfort. I always have. TT: When I look back, there was color everywhere—not only on set but in the bright makeup, the hair bows, the outrageous matte lip. It's really interesting because the pendulum started to swing by the time I started 90210. That was much more of a dusty moment across the design spectrum. Lots of mauve too. 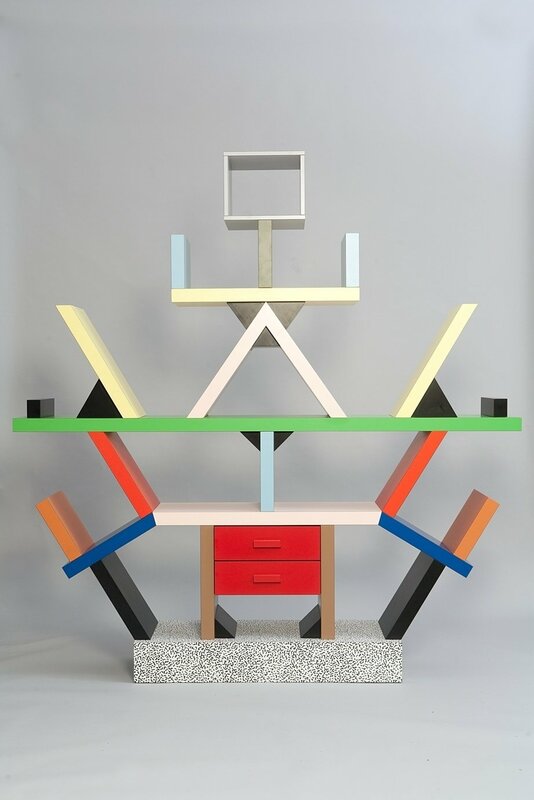 The experimental Milan-based design studio The Memphis Group was founded by Ettore Sottsass in 1980. With a name derived from Bob Dylan's "Stuck Inside of Mobile with the Memphis Blues Again" (the song that played during the group's first meeting), Memphis was considered the height of chic for 1980s fashion insiders (including Karl Lagerfeld whose entire apartment was outfitted in Memphis). Memphis and those with similar POVs (e.g. Denise Scott Brown and Robert Venturi) became the arbiters of postmodern style, a camp that celebrated all things surface and trend and aligned furniture and interiors with fashion for the first time. They celebrated a "more is more" mentality with color and pattern. Looking for more 1980s revival? Shop our 80s-inspired mix.